Lemon Jelly Cake. 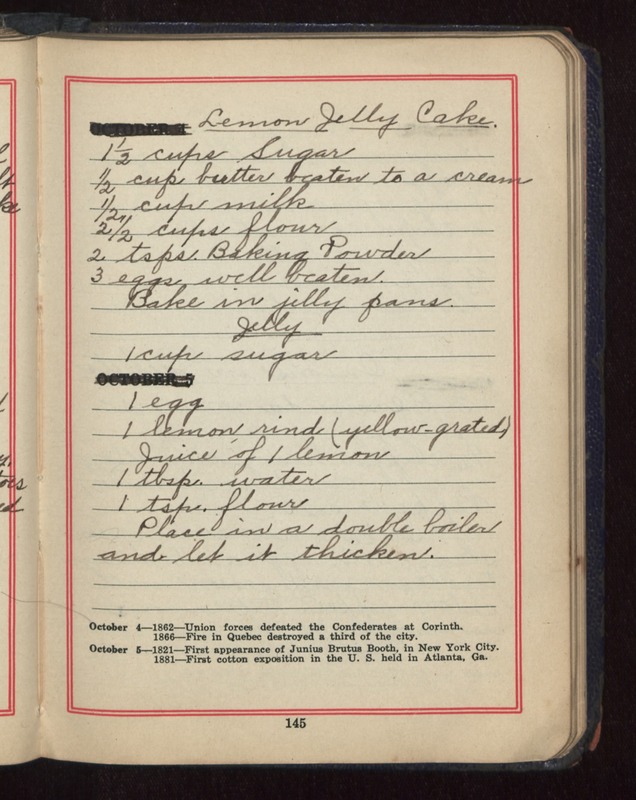 1 1/2 cups Sugar 1/2 cup butter beaten to a cream 1/2 cup milk 2 1/2 cups flour 2 tsps. Baking Powder 3 eggs well beaten. Bake in jelly pans. Jelly 1 cup sugar 1 egg 1 lemon rind (yellow-grated) Juice of 1 lemon 1 tbsp water 1 tsp flour Place in a double boiler and let it thicken.